At Brunswick Park road we will be building eight two-bedroom homes. This involves the demolition of one house and a number of disused garages. 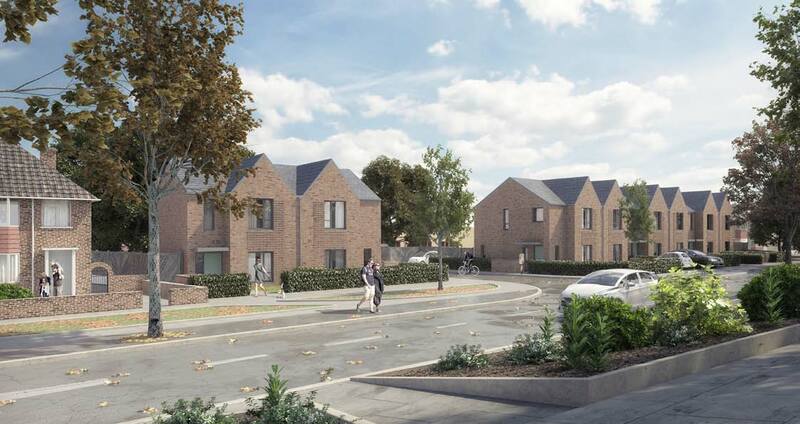 6 of the new homes will be in a terrace on the larger southern site and a pair of semi detached houses will be on the northern site. All new homes will be for affordable rent and managed by Barnet Homes. Each new home will have its own private front and back garden, parking space, cycle storage and refuse store. The new homes have been inspired by the immediate architectural character and designed to be in keeping with the local area. The street will be enhanced by the statement gable ends, pitched roofs, strong rhythm of projecting bays and brick detailing.